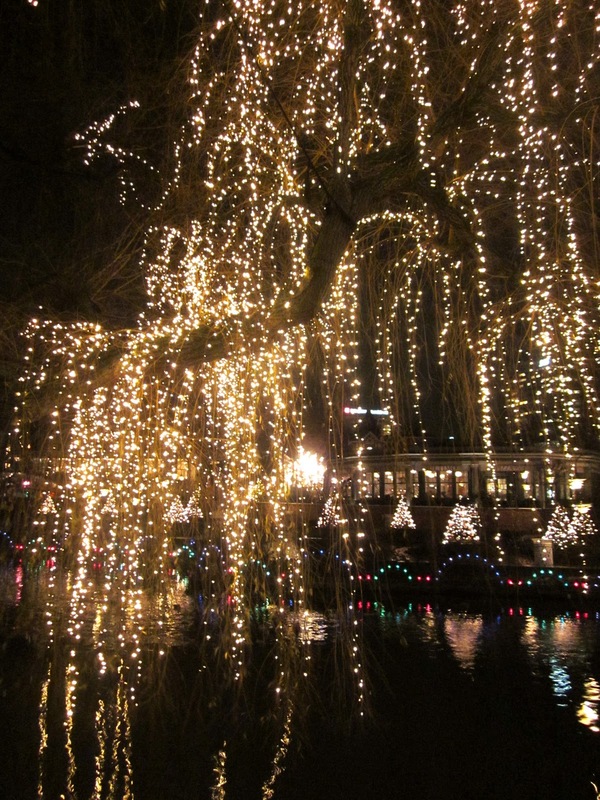 Tivoli Gardens is a famous amusement park in the center of Copenhagen. It is the second oldest amusement park in the world, having opened in 1843. 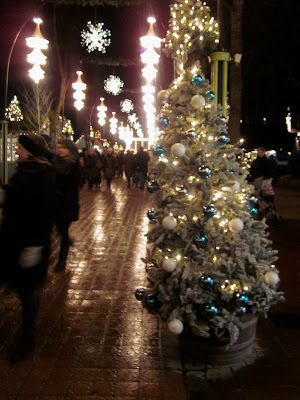 It is also the most popular seasonal theme park in the world. Normally, the park is open in the summer so that visitors can ride roller coasters and other rides during the warmer months. After closing in September, though, the park opens up two more times. Once is in October, when the park celebrates Halloween (even though Halloween is an American tradition that the rest of Copenhagen doesn't really recognize). The second time, Tivoli opens for Jul celebrations for about a month. I did not go inside the gardens in October, but did take a shot of the old entrance to the park. 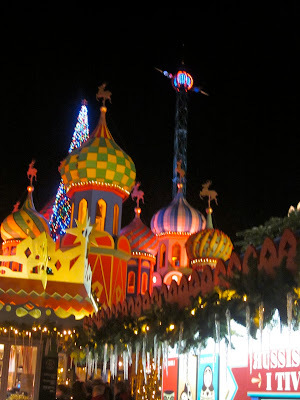 I did get to stop by to see the Jul-time park, though. 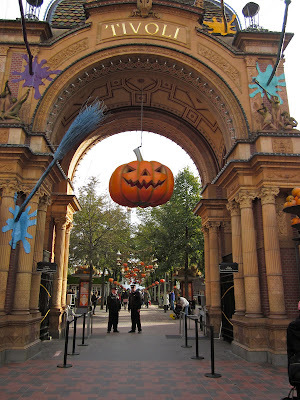 Tivoli was my last stop before leaving Copenhagen, and I was able to see all of the amazing decorations. They are honestly nothing short of beautiful. 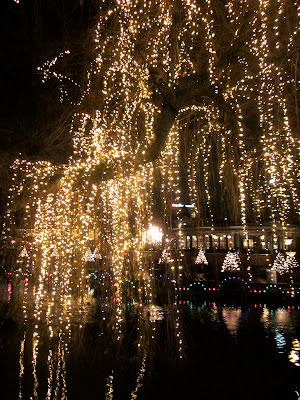 Everything is lit up, reindeer and hearts hang from trees and sit on the tops of buildings, and decorated Christmas trees are everywhere. There are also hundreds of shops that are set up in small buildings just for the holiday season, selling their wares. Everyone from a mom and pop shop to Georg Jensen have stores inside the park for this one month. 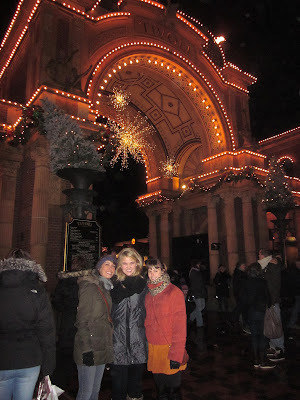 While I was in Copenhagen, I repeatedly said that I hoped it would snow before I left. Well, it may not have snowed, but that night there was a serious wintery mix coming down. What started with freezing rain turned to sleet, which was later following by tiny hail. I wrapped my scarf around my head and kept moving despite the weather - how Danish of me! 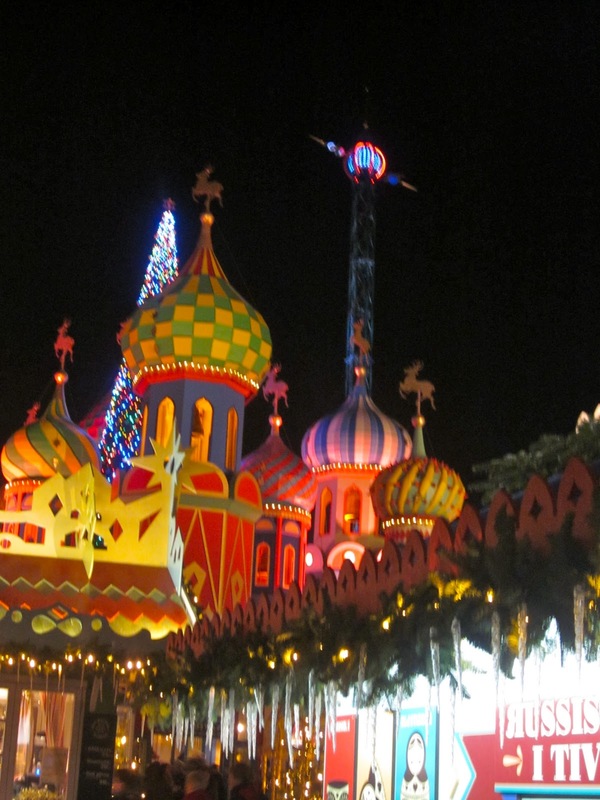 We also rode The Flying Trunk, which is a ride devoted to Hans Christian Andersen's fairytales. You step into a suitcase and then ride around, seeing dolls depicted 32 different stories of his. The trunk also lets you choose if you want to hear the narration in Danish or English, which was quite convenient. There were scenes showing scenes from tales like The Emperor's New Clothes, The Ugly Ducking, The Little Mermaid, and The Steadfast Tin Soldier. There were also live reindeer being held in the park for people to see. I like to think that the little guy pictured is Dasher, just because I always have liked that name.